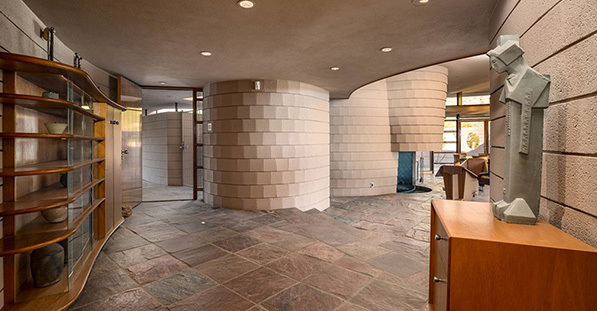 The last brilliant design by Frank Lloyd Wright is up for sale and it could be yours for $3.25 mil. Not a bad deal for an original FLW. Located in the Palm Canyon neighborhood in Phoenix, Arizona, the house embraces the curves of the surrounding desert mountain it resides in. 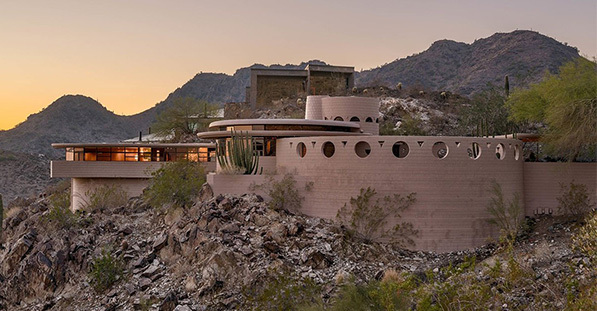 This is one of only 14 curvilinear homes designed by Wright and it’s easy to see that much of his vision of it was inspired by the Guggenheim Museum, debatably one of his most iconic masterpieces. 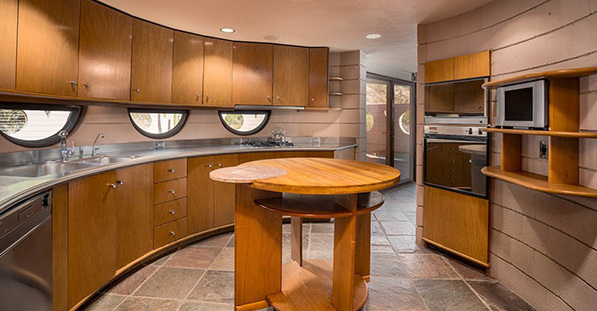 Wright began designing this curvilinear home in 1959, just a few months before his death. He was 91 years old. In 1967, Wright’s apprentice, John Rattenbury, completed the project. 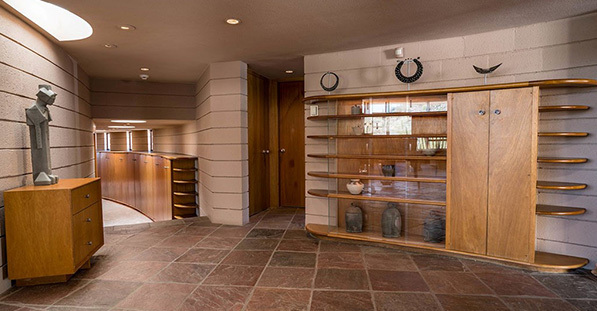 A few updates were made in 1994 and approved by the Frank Lloyd Wright Foundation, so the design has stayed true to Wright’s architectural style. The mid-century home features three bedrooms and three bathrooms. It’s the perfect home for entertaining with plenty of patios and a crescent-shaped mother-of-pearl embossed pool. A few unique characteristics include stainless wrapped kitchen counters, honed Italian rose marble in the master bath, and handpicked slate floors all the way from India. The Norman Lykes home is the perfect example of Wright’s aesthetic. 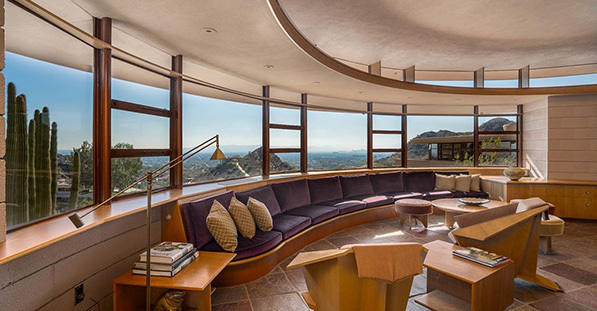 His use of circles throughout the home mirrors the curves of the nearby mountains and proves that even at the end of his life and career, Wright’s philosophy to blend organic architecture with its surroundings was ever prevalent.